Mixed Game Poker Definitions - Casino Answers! 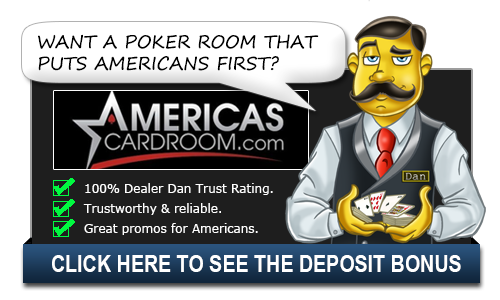 Are you bored of playing regular poker games? Do you think you’ve mastered Hold ‘Em, Omaha or one of the many stud games out there? Well, if you have you will want to challenge yourself and take part in some mixed games at the poker tables. The phrase “mixed” tells you exactly what it’s going to be; you’ll play at least two different variations of poker, usually after one round of the table, or after a set amount of hands. For example, at Full Tilt Poker, the game changes every ten hands at their mxed games tables. There are a lot of mixed games out there, so to help you navigate this potential minefield and to stop you from sitting down at a table where you might not have an edge, we’ve compiled a list of mixed games on offer at the various poker rooms. HA: One for the modern poker player and lots of action. Hold ‘Em and Omaha Hi. Usually pot limit. HEROS: A game becoming much more popular due to the order the games are played. Hold ‘Em, Stud Hi/lo, Razz, Omaha Hi/Lo, Stud Hi. Limit games. HO: Hold ‘Em, Omaha Hi/Lo. Usually limit games. HOE: Hold ‘Em, Omaha Hi/Lo, Stud Hi/Lo. Limit games. HORSE: The most famous mixed game of all. Hold ‘Em, Omaha Hi/Lo, Razz, Stud Hi, Stud Hi/Lo. Limit games. HOSE: Hold ‘Em, Omaha Hi/Lo, Stud Hi, Stud Hi/Lo. Limit games. OA: Omaha Hi/Lo, Omaha Hi. Usually pot limit games. OE: Omaha Hi/Lo, Stud Hi/Lo. Limit games. Mixed Hold ‘Em: Limit Hold ‘Em, No Limit Hold ‘Em. SE: This is the mixed game for the stud players out there. Stud Hi, Stud Hi/Lo. Limit games. Triple Stud: Stud Hi, Razz, Stud Hi/Lo. 7-Game: Limit Hold ‘Em, Limit Stud Hi/Lo, Limit Razz, Limit Omaha Hi/Lo, Limit Stud Hi, No Limit Hold ‘Em, Pot Limit Omaha Hi. 8-Game: Limit Hold ‘Em, Pot Limit Omaha Hi, Limit Stud Hi/Lo, Limit 2-7 Triple Draw, Limit Stud Hi, No Limit Hold ‘Em, Limit Omaha Hi/Lo, Limit Razz. 9-Game: Limit Hold ‘Em, Limit Stud Hi/Lo, Pot Limit Omaha Hi, Limit 2-7 Triple Draw, Limit Razz, No Limit Hold ‘Em, Limit Omaha Hi/Lo, Limit Stud Hi, No Limit 2-7 Single Draw. 10-Game: Limit Hold ‘Em, Limit Stud Hi/Lo, Pot Limit Omaha Hi, Limit 2-7 Triple Draw, Limit Razz, No Limit Hold ‘Em, Limit Omaha Hi/Lo, Limit Stud Hi, No Limit 2-7 Single Draw, Limit Badugi. Most of these games are available at both Full Tilt Poker and Pokerstars and the traffic on these tables tends to be generally high. If you’re looking to play mixed game poker, Full Tilt Poker and PokerStars are the places to play, as you know the traffic will be high and the game selection is huge. Just check out both sites and find which one is right for you. Mixed game poker is on the rise and with it featuring more and more at the World Series of Poker and with more poker rooms adding different variations, the rise of mixed game poker is huge. So, brush up on your all-round poker skills and you’ll be cleaning up at the tables in no time.